Actress who gained famed for her role as Candace in the 2014 version of the TV show Dallas. She would later go on to appear in the series Star. One of her earliest roles was as Whitney in the 2009 short film History of Made Up Things. She played the character Samantha in a 2014 episode of The Middle. She married music producer Joshua Coleman in June 2016. They welcomed a son named Judah in November 2018. 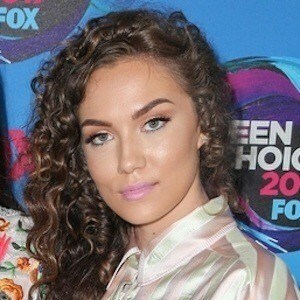 She played the role of Andrea on an episode of Jonas called "And... Action!" alongside Nick Jonas.